One was made to cruise the "Ark", and had been rescued, and kept safe from destruction through Thy mercy. One was chosen and prepared for Thy Mission, as (Thy) Friend, (who) made a request to Thee for a good report in (his) later generations, so Thou approved and complied with, exalted them and gave them authority. One was spoken directly through the Tree, his brother was appointed his successor and helper. One was brought in without a father, was given clear proofs, and was supported with the Holy Spirit. For each Thou prescribed a Divine law, and set up a traced out path, each was appointed a guardian-executor, (and each) fulfilled the duty after being kept safe and protected, in the term of establishing Thy religion, a witness and argument over Thy servants (mankind), Lest the truth staggered from its firm stand and foundation, and the falsehood conquered the hearts of the people, and might not say a single man: "If only Thou had sent a Messenger unto us as a Warner, to show us the path of wisdom and guidance, so that we might have followed Thy revelations before we were (thus) humbled and disgraced!" Then Thou made plans to bring out the wonderful advent of Muhammad, (Send blessing on him and on his children). So Thou just as chose him master of Whosoever Thou created, made him (whom Thou Selected), pure, clean and the best, exalted and praised him (whom Thou elected), surpassed in generosity and liberality while bestowing high-mindedness and beneficence upon him (whom Thou took in confidence and relied upon); made him leader-in-chief of (all) thy Prophets, and sent him to the troubled world of men and jinn, among Thy servants, lowered and humbled before him the Easts and the Wests, under his total control was brought all affairs, exalted his soul in Thy heavens gave over to him the knowledge of what took place and what will happen, concerning facts and operation of creation. Then invested him with awe and majesty, Jibraeel, Meekaaeel, and distinguished Angels stood around; him at his beck and call, gave Thy word to him that Thou would make his religion prevail over all religions, however much the idolaters may be averse. Thereafter acknowledged his atonement and provided good and perfection for his children, allotted for him and his children the first sanctuary appointed for mankind, at Becca (Mecca), a blessed place, a guidance to the people, wherein are plain and clear signs; the place where Ibraahim stood up to pray, and whosoever enters it is safe. Thou said: " Allah’s wish is but to remove uncleanness far from you, O "People of the House", and purify you with a thorough purification." Thereupon Thou settled conclusively fee (recompense) of Muhammad (Thy blessings be on him and on his children) love for them, in Thy Holy Book. So Thou said: "Say (O Muhammad): I ask of you no fee (recompense) therefore, save love of (my) Kinsfolk." And Thou said: "Whatever recompense (return) I have asked for you, (it) is only for yourselves." And Thou said: "I ask of you no reward for this, save that, whoso will, chooses a way unto his Lord." Therefore they are the (only) means to (approach) Thee, the (only) medium to get Thy favours. So Thou certainly did not let his hard work go waste, and gave authority to his successor, Ali ibne Abi Taalib, (Thy blessings be on them both, and on this children), a guide. At the time when he was made a warner and a guide for every people, said he (the Holy Prophet), their Guide, in a public meeting overflowing with people; "Of Whomsoever I am the Mawlaa (Lord, Master) Ali is his Mawlaa. O Allah! be a friend of him who is a friend of him, be an enemy of him who is an enemy of him, help that man who helps him, forsake that man who forsakes him" and said: "Of whosoever I am the Prophet Ali is his Chief." And said: "I and Ali are (one basic root of) a tree, and the rest of mankind are like diverse plants, he proclaims the position (relationship) of Haaroon to Moosaa." Therefore he told him: "I am to you as Moosaa was to Haaroon, but certainly there is no Prophet after me." His (Ali’s) life partner was his (Muhammad’s) daughter the chief of the women of the worlds. Lawful was for him (Ali), in "the mosque", that which was permitted to him (Muhammad), all doors were closed, except his door. He (Muhammad) gave his knowledge and wisdom into his (Ali’s) keeping. He said: "I am the city (center) of knowledge and Ali is its gate. Whoso desires to approach and dwell in the city of knowledge and wisdom should come through its door." Thereafter he said: "You are my brother, successor and inheritor, your flesh is my flesh, your blood is my blood, your truce is my truce, your fight is my fight, faith is blended, mixed and mingled (part and parcel) in your flesh and blood, just as it is compounded in my flesh and blood, you shall take charge of the reservoir of my inheritance, you are the fulfilment of my religion, you shall execute and keep alive my "way of life", your friends and followers shall speak with authority, command respect and hold the torch of good manners and refinements, their faces will be all around me in the eternal land of peace and bliss (Paradise), in my close company. Were it not you O Ali, the faithfuls would not know the truth after me." After him (Muhammad) be (Ali) was the guide for the wanderers, a bright light in the blind darkness, the strong rope of Allah, and the right path, did not ever hold back kindness and compassion from the common people, nor ever made excuses or delay to give priority to the matters of religion, nor blew his own trumpet nor felt proud of his glory, did the same thing the Messenger used to do, (Blessing of Allah be on them both and on their children) put an end to misinterpretation, did not lose temper, for the sake of Allah, if any one turned to mud-slinging and name-calling. He had thrown the proud tribal chiefs of Arabia into a fright, destroyed their heroes, attacked and dispersed their cavalries, because of which hatred and deep grudge took root in their hearts. Badr, Khaybar, and Hunain created jealousy and envy in them, therefore, united they joined hands to oppose him, and came out in great number to fight against him, till he destroyed all deserters, who had swerved from what was right, the shameless who deviated from true religion, while he was carrying out the important mission. Killed him a malicious criminal, a contemporary, serving the interest and following the doctrine of earlier impudent villians. An unparalleled and outlandish approach was applied to the directions of the Messenger of Allah, (Blessings of Allah be on him and on his children), concerning the "Guides" (Imaams), one after the other. The narrow-minded obstinate "ummah" did not care for and had ill-feelings towards him. Flocked together to pass up and deny his connection with his family, and pushed his children out of their way, but a handful of sincere faithfuls kept their promise and dutifully upheld the rights of his children; Some were slain, some were held prisoners, some were sent to distant foreign lands, and they met face to face (when came upon) their destiny (martyrdom). That which is given to each (of them) as reward of good deeds is the best recompense, since the earth belongs to Allah, and He gives it for an inheritance to whom He wants from among His servants, and the (good) end is for the God-fearing wise; glory to our Lord! Verily the promise of our Lord must be fulfilled; Allah does not break His word, He is Almighty, Wise. So be purified and refined by making known and remembering the choicest children of Muhammad and Ali, blessings of Allah be on them both, and on their children. The heartbroken, in tears, make their hearts bleed, together with them, the deeply moved perceptive men of letters describe their wisdom and liberality, as they themselves used to do, eyes of sensitive and thoughtful people are full of overflowing tears, their voices choked up with emotion; they cry out to protest against the injustice done, they call up dumb and insensate souls to stir and take notice. Where is Hasan? Where is Husayn? Where are the children of Husayn? The whole good, one and all! The truth altogether! Where is the regular unbroken vital connection? Where is the on going sequence of desirable goodness? Where are the clear source and spring of Light (vision and insight)? Where are the lively vivid handsome faces? Where are the distinctly visible pioneers? Where are the "know all the answers" scholars who communicated and made clear the religion of Allah? The fundamentals of knowledge and wisdom! Where is the ‘Everlasting legacy of God"? (never ever is the "family of Guides" without One). Where is the impenetrable defense who broke the back of the oppressive tyrants? Where is the "awaited saviour" who will set the have-nots and the depressed on their feet? Where is the "The Hope" who will put and end to tyranny and oppression? Where is the "preserved guaranty" who shall give new life to rule of law and refined way of life? Where is the "Chosen in preference good" who shall raise the spirits of the people and give currency to justice and fairplay? Where is the "hope-giving confidante" who shall make full use of the "Book" and define the sphere of action? Where is he who shall blot out dogma in the matter of religion and his (Muhammad’s) children? Where is he who shall break up meddlesome trouble and tampering? Where is he who shall pull down the foundations of confusion (polytheists) and hypocrisy? Where is he who shall stamp out corruption, vice, reaction and injustice? Where is he who shall trim the outgrowth of despair, longing and hardships? Where is he who shall erase the traces of unfairness and self-seeking conceit? Where is he who shall untie the twisted knotes of falsehood and disruption? Where is he who shall separate senselessness and insolence from the people? Where is he who shall tear up by the roots obstinacy, corruption and apostasy? Where is he who shall love dearly the favourites of Allah and take pains to tame and train the trangressors? Where is he who shall make people familiar with "words of wisdom"? Where is the ultimate (Divine) source of plenty and prosperity? Where is the "Divine aspect" the God-fearing may look up to? Where is the link that connects the cosmic complex? Where is the authority who shall communicate and make known the true point of view? Where is the author of the conception of peace, fairplay and welfare? Where is the defender of the traditions of the Prophets and their children? Where is the investigator of the blood of the Martyrs of Karbalaa? Where is he who shall get the upper hand over the perpetrators of crime and greed? Where is he who shall not rest until he answers the cries of help when called upon? Where is the foremost leader of the people – the just, the truthful and the wise? Where is the son of the chosen Prophet? The son of Ali Al-Murtaza! The son of Khadeejah, the resplendent! The son of Faatimah, the great! My father, my mother, and I turn to you for protection and sanctuary. O son of the favourite Leaders! O Son of the distinguished nobles! O son of the rightly guided Guides! O Son of the most refined high-minded liberals! O Son of the select generous Guardians! O son of the polite and pure purifiers! O Son of the impartial judges! O Son of the openhanded hosts! O Son of the mature teachers! O Son of the brilliant fulfillers! O Son of the clear and precise arguments who penetrated deep (into the domain of mind)! O inheritor of the made known prophesy! O inheritor of the clear preaching! O inheritor of the evident signs! O inheritor of the exact science! O inheritor of the widely sought after culture and customs! O inheritor of the milestones of glory and greatness! O inheritor of the extraordinary events! O inheritor of the reason that had been put to experiment! O inheritor of the Right Path! O inheritor of the Message that made deep impression on mankind! 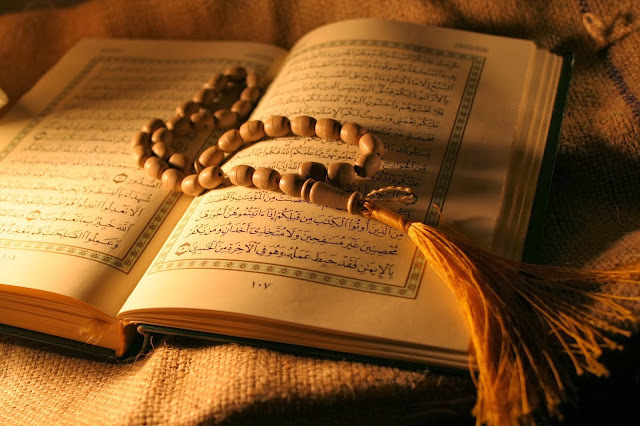 O Son of him who is in the "Mother of the Book" kept with Allah, the Highest High, the All-wise. O inheritor of the convincing proofs! O inheritor of the genuine evidence! O inheritor of the distinctly visible demonstration! O inheritor of the decisive information! O inheritor of the absolute joy and happiness! O inheritor of "T’aa-haa" and clear wisdom! O inheritor of "Yaa seen" and "Zaariyaat" O inheritor of "T’oor" and "A’adiyaat" O Son of him who "drew near and came down till he was two bows’ length or nearer." (The Highest High came near and received him gladly). If I but knew the destination of your purposeful journey! To which isolated land did you go? Good, pleasant and satisfying? Or otherwise? Or in well guarded concealment? It breaks my heart (when) I look at all that has been created, but cannot see you, nor hear a whisper about your whereabouts, nor any secret communication! It is disheartening to know that you are attending to and watching over the disorder and confusion, and I, in the thick of violent turmoil, am far away, unable to give report of injustice. I eagerly long for you who is out of sight, but has not forsaken us. I eagerly long for you who has departed and is invisible, but is not far from us. I eagerly long for you who inspires love and deep affection, and the faithful men and women take delight in your memorable glory. So we are excited with a longing desire. I eagerly long for you who is worthy of acceptance and lawful driving force of belief and conviction, never weary or annoyed. I eagerly long for you who is the root of praise and distinction, never can be uprooted. I eagerly long for you who is always tender, gentle and comforting, never makes one’s affairs worse instead of better. I eagerly long for you who is just and equitable beyond a trace of doubt, does not take severe action until misbehaviour trespasses the limit. O Master! How long and unto what is to be directed (my) request for friendly attention concerning you? And what is the message? It makes me sad to get favourable reply from anyone other than you, but to be duped and cheated in the end. It casts a gloom upon me that you suffered hardships and the chicken hearted deserters left you alone. It is painful for me what took place for you from them and that which had happened. Is there a helper with whom I may cooperate and take pains? Is there a restless with whom I may share when action is taken? Is there a faint twinkle of evidence to make me willingly take up the trouble? Do you O Son of Ahmed have means and ways to arrange our meeting? Can you once cleverly guide the course of time, so that we may obtain our wish? When shall we abridge the gap that separate us from the vision so that we may refer to the authority? How long shall we keep waiting for your pleasing satisfying essence and quality? Already the period of expectation has lasted too long! When shall we receive our share from you and have our minds set at rest? For we have fixed our eyes upon you and strive with perseverance. When shall we be happy, and see your beautiful form and fine aspect? Groups of cheerful willing disciplined helpers, in great numbers, gathering around you to carry out one work after the other! You fulfilling (every promise) and giving joy, heart and confidence (to the faithfuls); filling the earth with justice; making your enemies follow the law and accept the revolution; taking the wind out of the haughty and the boastful, and those who knew but denied the truth; breaking the back of the proud and the arrogant; uprooting the roots of the unjust; and we-singing the praise of Allah, the Lord of the worlds. O my Allah! Thou disperses the clouds of sorrows and hardships. Unto Thee we turn to ask for help against the enemy; for Thou (alone) helps and guides. Thou (alone) puts into good order affairs of this world and shall make better the Hereafter. So come to help! O He Who is called to help the helpless, Thy servants, surrounded by calamities. Show them the face of their Leader. O the Mightiest Almighty. Allow him to put an end to evil and corruption, and satisfy his Love (for the faithfuls) and dislike (for the sinners). O He Who, from the "Arsh directs and controls all creation, and unto Him is the return, final and ultimate. O my Allah! We are Thy servants, longing for Thy friend (appointed authority), who reminds us of Thee, and Thy Prophet, who was created as a refuge and asylum for us, established as a foundation and spring of truthfulness for us, and was made the Leader-Guide of the faithfuls. Convey to him our heartfelt congratulations and welcome. Make us feel more deeply for him. O Lord! Very Kindly, make his headquarters our place of domicile and dwelling abode, and fulfill Thy promise by returning him to us as our Leader Guide, so that he takes us to the eternal land of peace and bliss, where we shall rub elbows with Thy sincere servants who shed blood to pronounce the Faith. O Allah send Thy blessings on Muhammad and on the children of Muhammad. Bless his ancestor Muhammad, the Messenger, the foremost Leader, and bless his progenitor, the succeeding Leader, and his great grandmother, the ever truthful, Faatimah daughter of Muhammad, and his chosen virtuous forefathers, and send blessings on him, superior, whole, conclusive, staying, numerous, and full, not ever bestowed (even) on any of Thy sincerely attached and pious friends from among Thy creation. Bless him with blessings, (that) cannot be counted in numbers, cannot be "proximated" in space of time, cannot be consumed in terms of having nothing remaining. O my Allah! Set up truth, destroy falsehood, show the right path to Thy friends, humiliate Thy enemies, and do it without interruption, (through him). O my Allah! Unite us with him. Let us be friends with his ancestors. Give us courage to disperse those who oppose and try to prevent him, and make them stay in their shame and disgrace for ever. Help us to discharge the duties made incumbent upon us by him, and make every effort to obey him, keep from that which is declared unlawful by him, rely upon him to get his approval. Let us be with him when he makes peace, and frees mankind from fear, gives currency to love are kindness, brings bliss and happiness, spreads good and virtue, so that we may do our best to promote his cause through Thy mercy, and win victory for Thee. Accept our prayers, forgive our sins, fulfil our desires, give us means of livelihood, unrestricted, make less our hardships, meet our demands in full (through him). Turn towards us Thy kindness and loving aspects, and bring us close to Thee. Turn the eyes of Thy mercy upon us, to bring to fullness Thy kind favours, and after that do not ever let them disappear in the name of Thy generosity, and give us the opportunity to quench our thirst from the spring of his great grandfather (Kawsar), (blessing of Allah be on him and on his children), using his cup, filled by him, fresh and pure, sufficient, wholesome, clear and cool, not leaving any desire thereafter, O the Most Merciful.